Approximately twice a year I write for Linux Magazine; I've covered nUbuntu, Adeona, and Security Visualization in previous articles. When the editor asked me to participate in a system administration special edition I was intrigued as the edition was to be OS agnostic and include Linux, Windows, OpenSolaris, and others. I didn't have to think for more than a minute to come up with a good security topic for system administrators. Any of you readers work in hybrid operating environments where you're inevitably challenged to unify event monitoring and correlation with disparate systems? I for one can answer that question in teh affirmative and am always seeking ways to answer that challenge. Merging security and operational mindsets is essential when unifying events in hybrid environments and I have found Splunk to be incredibly useful as part of the effort. Note: I wrote this article with no influence or feedback from Splunk (they'll learn of it here too) to avoid bias. Splendid Splunk: Unifying Events with Splunk is the result of much testing and research to prove out methodology I've only implemented in part prior. For security events, when an enterprise may not have budget for SEM/SIEM, the likes of Splunk fills the gap admirably. Yes, it's a commercial tool, but one can do a great deal with the community version to confirm my findings. Systems administrators, security engineers, and analysts share a common challenge in typical enterprise environments. Rare is the data center in which only one operating system is in use, or only one version of the same operating system. Monitoring and managing system events and security events across such hybrid environments is no small feat...choices need to be made when unifying events in a hybrid environment. For example, perhaps you have more of one operating system flavor than another in your environment. Or, perhaps you prefer one operating system over another. • Both host types can also run Splunk as a light-forwarding agent. • Windows and *nix hosts can also be monitored with Snare agents. • Windows and *nix hosts can be monitored with OSSEC agents. • Network devices can send syslog output directly to the Splunk server. I cover methodology, installation, forwarding, Snare, OSSEC, searches dashboards, and alerting. While there's a book's worth of Splunk use to write about, the article is intended to help you get a good running start. ADMIN Magazine is available via subscription (quarterly with DVDs), single issue purchases online, or at magazine stands in the likes Barnes and Noble. 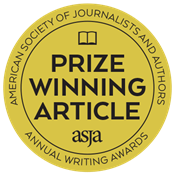 If the article is ever posted to the web by the publisher I'll update this post and let you know. 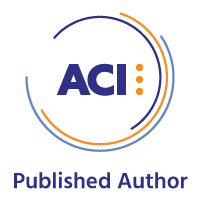 That said, the publication is well worth the coin as it covers network security, system management, troubleshooting, performance tuning, virtualization, and cloud computing. Happy reading; let me know if you have questions. In January I reviewed Magnus Mischel's ModSecurity 2.5. 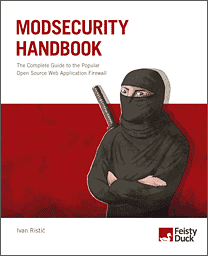 While Magnus' work is admirable, I'd be remiss in my duties were I not to review Ivan Ristic's ModSecurity Handbook. Published as the inaugural offering from Ristic's own Feisty Duck publishing, the ModSecurity Handbook is an important read for ModSecurity fans and new users alike. Need I remind you, Ristic developed ModSecurity, the original web application firewall, in 2002 and remains involved in the project to this day. 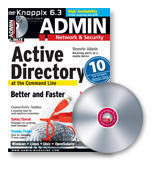 This book is a living entity as it is continually updated digitally; your purchase includes 1 year of digital updates. Ristic also wants to know what you think and will incorporate updates and feedback if relevant. While the ModSecurity Handbook covers v2.5 and beyond, Ristic's is "the only ModSecurity book on the market that provides comprehensive coverage of all features, including those features that are only available in the development repository." ModSecurity Handbook offers detailed technical guidance and is rules-centric in its approach including configuration, writing, rules sets, and Lua. Your purchase even includes a digital-only ModSecurity Rule Writing Workshop. Chapter 10 is dedicated to performance as proper tuning is essential to success with ModSecurity without web application performance degradation. That said, the highlight of this excellent read for your reviewer was Chapter 8, covering Persistent Storage. Following the applied persistence model, I found periodic alerting most interesting and useful. From pg. 126, "Periodic alerting is a technique useful in the cases when it is enough to see one alert about a particular situation, and when further events would only create clutter. You can implement periodic alerting to work once per IP address, session, URL, or even an entire application." This is the ModSecurity equivalent of a Snort IDS rule header pass action useful when internal vulnerability scanners might cause an excess of alerts. ModSecurity rules that perform passive vulnerability scanning might detect traces of vulnerabilities in output, and alert on them. Periodic alerting would thus only alert once when configured accordingly. As an example, perhaps you are aware of minor issues that are important to be aware of, but do not require an alert on every web server hit. Making use of the GLOBAL collection, ModSecurity Handbook's example would translate the scenario above by following a chained rule match and defining a variable, thus telling you if an alert has fired in a previously. The presence of the variable indicates that an alert shouldn’t fire again for a rule-defined period of time. In concert with expiration and counter resets it is ensured that a rule will warn you only once in a your preferred period of time but still log as you see fit too. ModSecurity Handbook, in concert with Ristic's Apache Security, are must reads for web application security administrators and architects, but will not leave those who need step-by-step instructions at a loss. Trust me when I say, all you need to harden your web presence with ModSecurity is at your fingertips with the ModSecurity Handbook. June's toolsmith in the ISSA Journal covers skipfish and iScanner. Skipfish and iScanner, albeit quite different, are both definite additions for your toolkits. Reduction of web application security flaws as well as the identification and removal of obfuscated malcode are important ongoing processes as part of your proactive and reactive defensive measures.